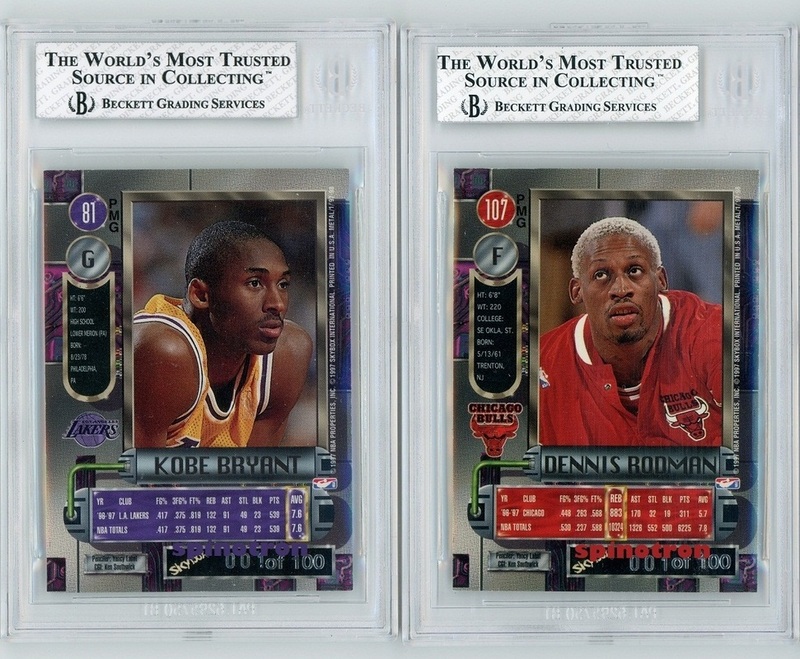 I structure this showcase as pairings to my key Kobe and MJ cards, so that they will not be so lonely. 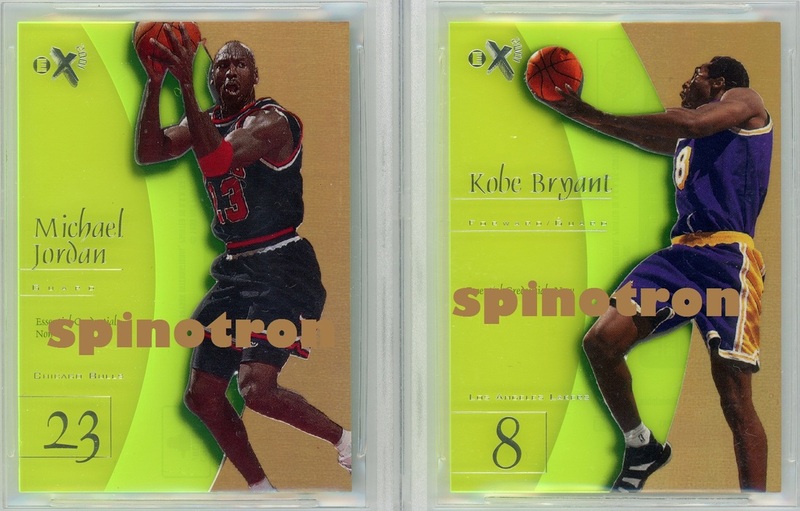 Seriously though, those serve as an intermediate phase towards final Kobe-MJ pairing (if possible) with numbering or condition constraints, which will gradually materialize. But current pairings breathe some fresh air into this project. If you have or know any actual cards which improve current pairings, please feel free to contact me via Contact page. Any suggestions or critiques are welcome. First PMG ever made. Teammate. One is top at defense, and one excels at offense. 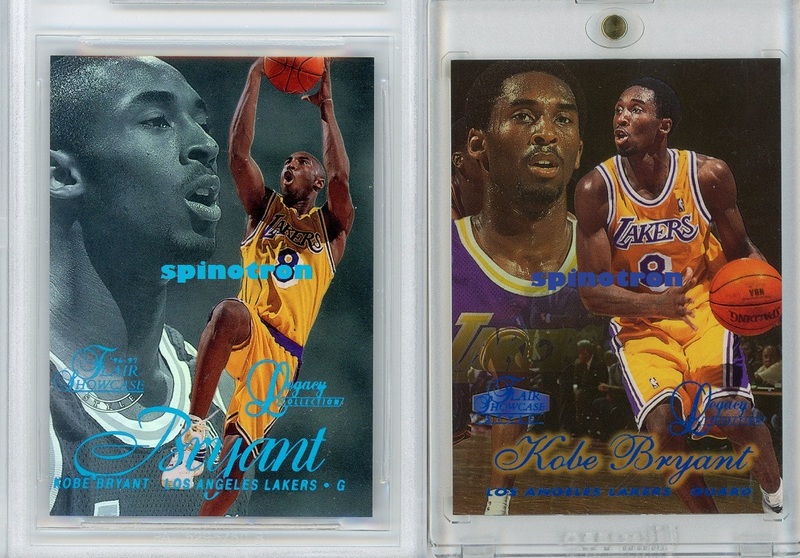 Kobe and Nash, and original PMG vs Retro PMG, highest graded vs jsy number. 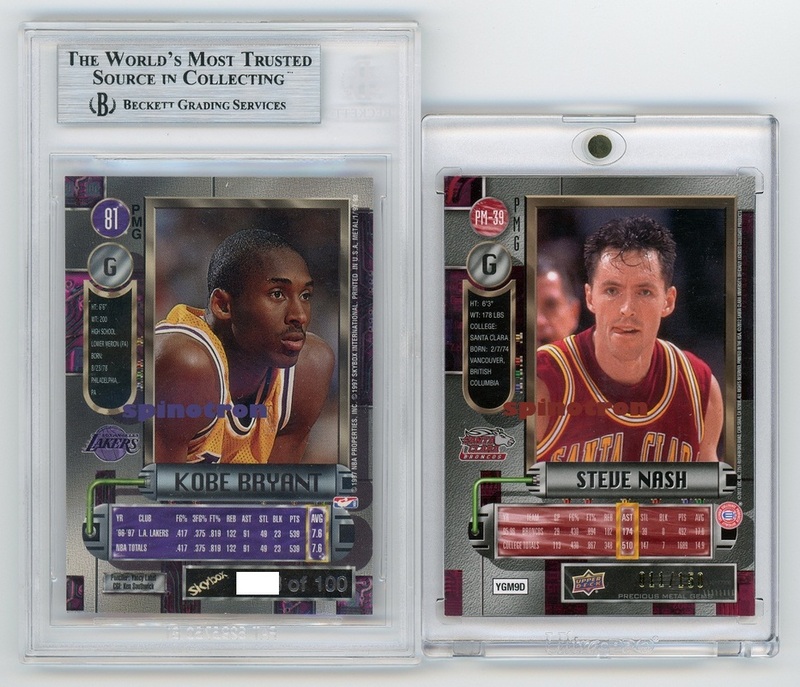 Nash has original PMG, but he became a Lakers in the same year where this card is issued. Hope this NB duo will have a great time and a great season. One can also have an opportunity to see the various differences between original and Retro versions. 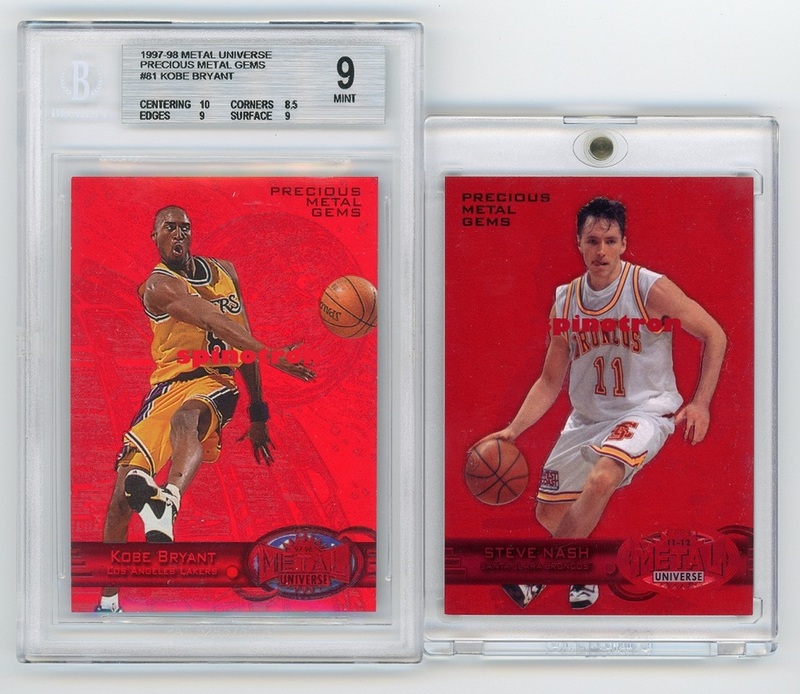 Best from 96 rookie class. Influencing generations of ballers. Jersey numbered. Faced in Finals. I'm quite conservative when it comes to the new product. 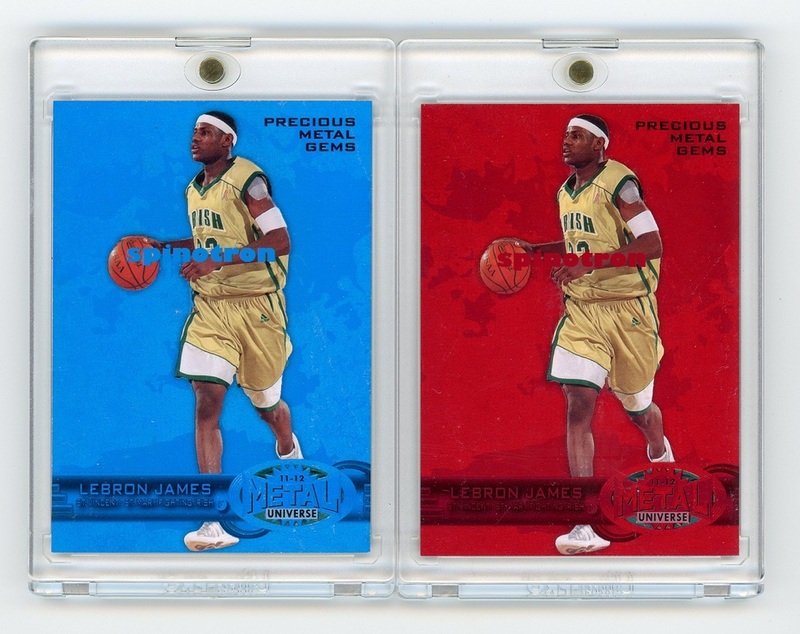 So I thought since Lebron has no PMG looking like original until Retro, and there is no PMG Blue before. So I picked this one up, sitting next to the red I pulled. 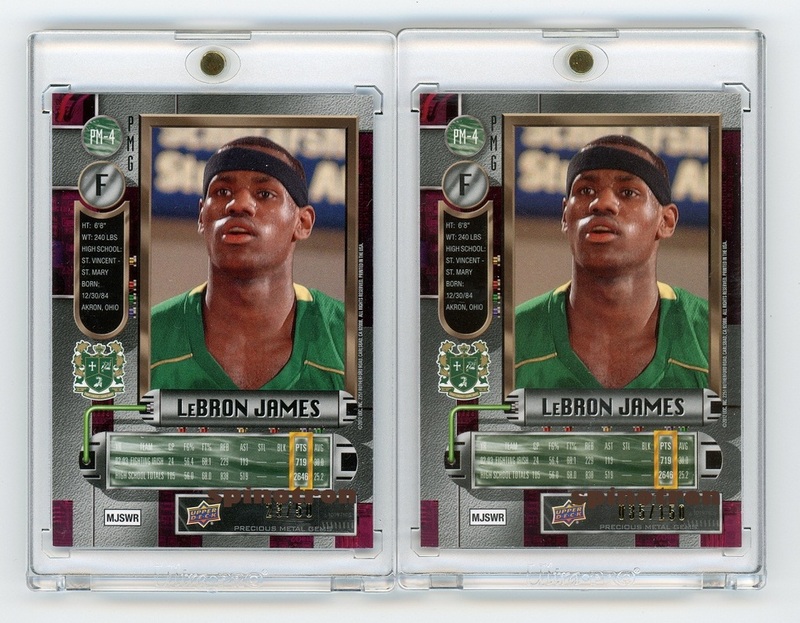 This 11-12 year is Lebron year, MVP, Finals MVP and Gold medal, all done against or with Durant as runner-up/side-kick, so 35/150 for Lebron red I pulled is kind of sweet. Lebron is also training with No. 35 for second year straight to improve together with one of the best and also perhaps to know one of his biggest opponents better. This 23/50 Blue was extremely lucky to land. 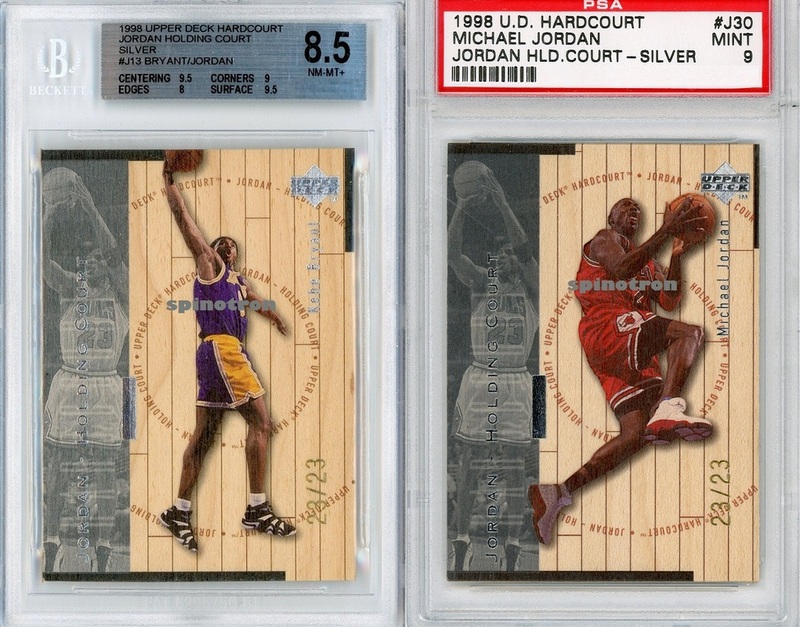 Thankfully two quick BIN hitters backed out even quicker and I was able to reach a deal with Romar from OCT for a price good for both of us, a very nice communication and this wraps up my Retro hunting and pairing project temporarily. Almost 30000 club vs 3000 plus club. 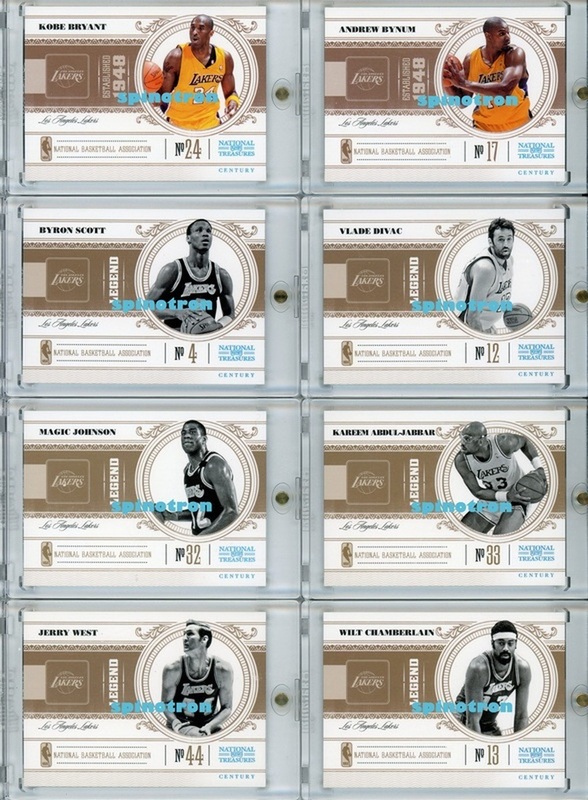 POP 5 highest graded vs 299/299. 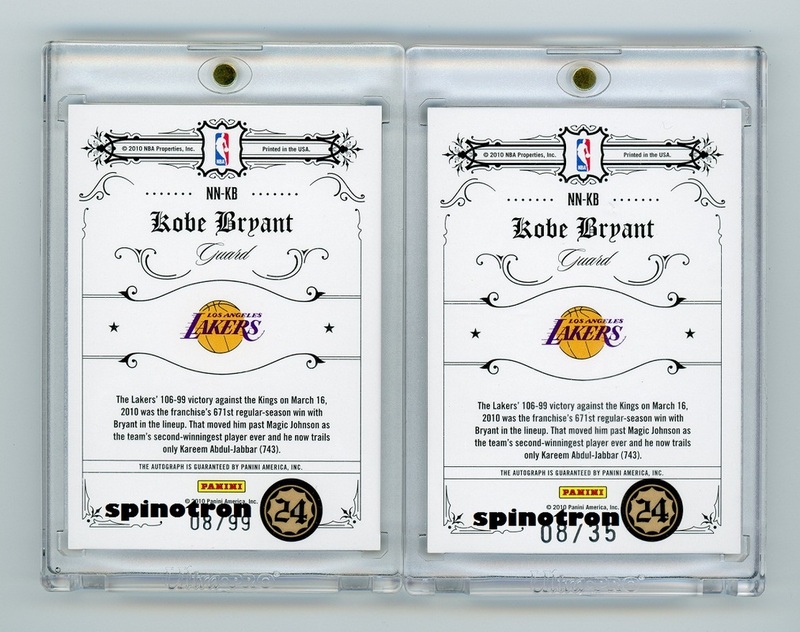 Both backwards numbered to 34, a tribute to O'Neal's jsy number and Kobe's current age. One of most dominant duos in history to remember. 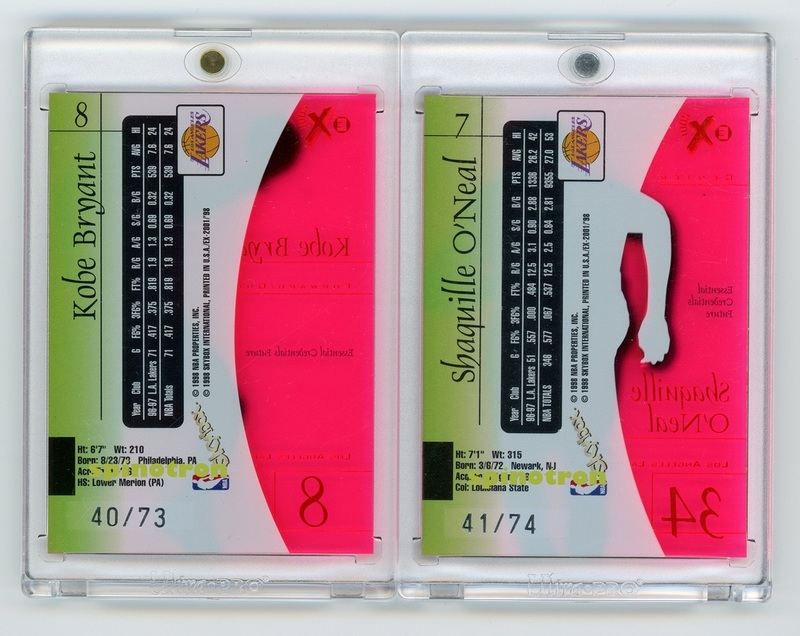 98-99 E-X century essentials credentials now and future with matching serial number. 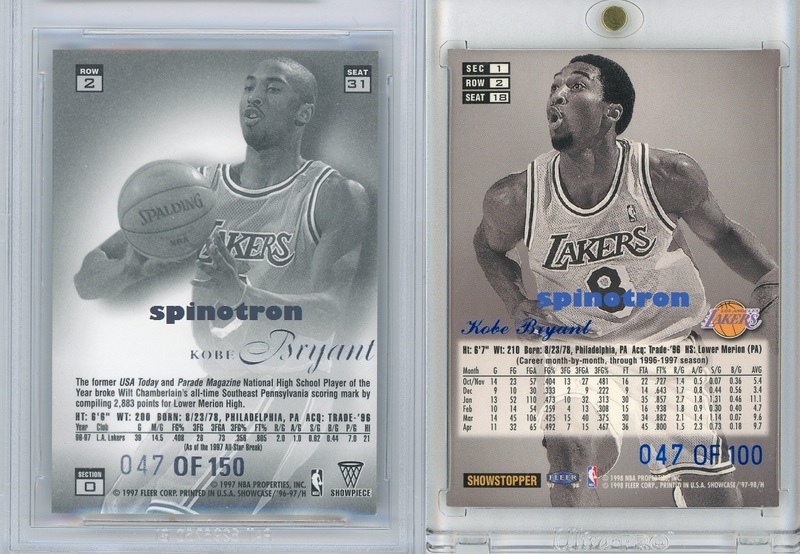 4 is a significant number for Kobe, as the 4th championship is his first champ he won as sole leader of the team, which completely silenced any detractors/doubters. 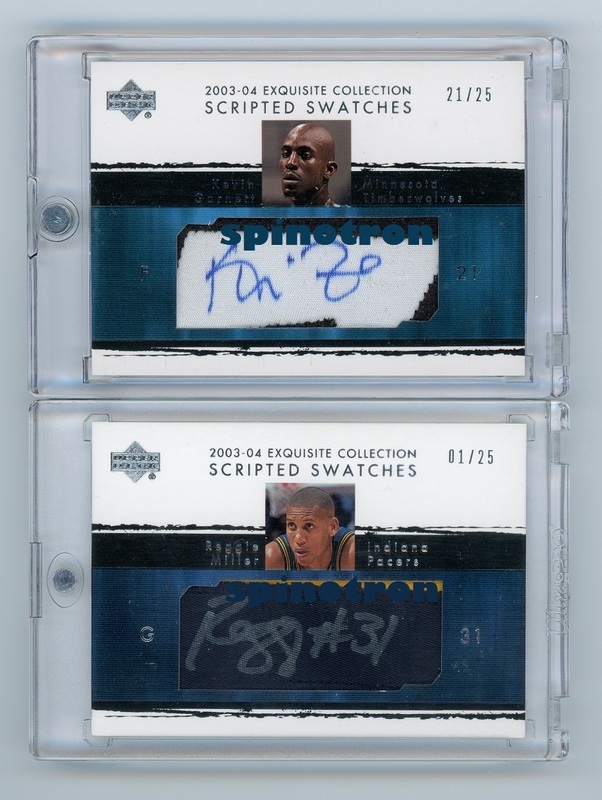 He even signed some 4/ 07-08 exq inscriptions. 4 + 4 in a pair = 8. 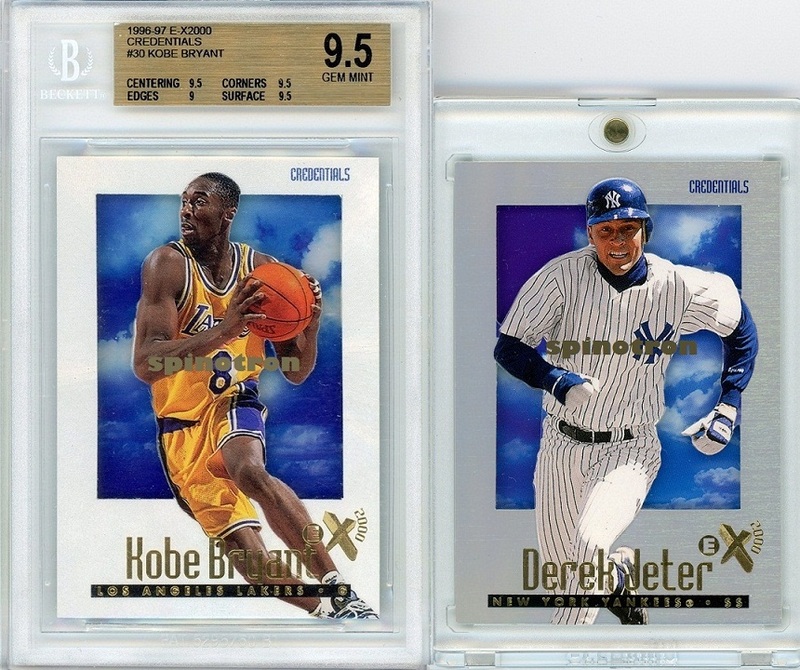 Jeter wears 2 and card is 3/10, so it's 2 3. 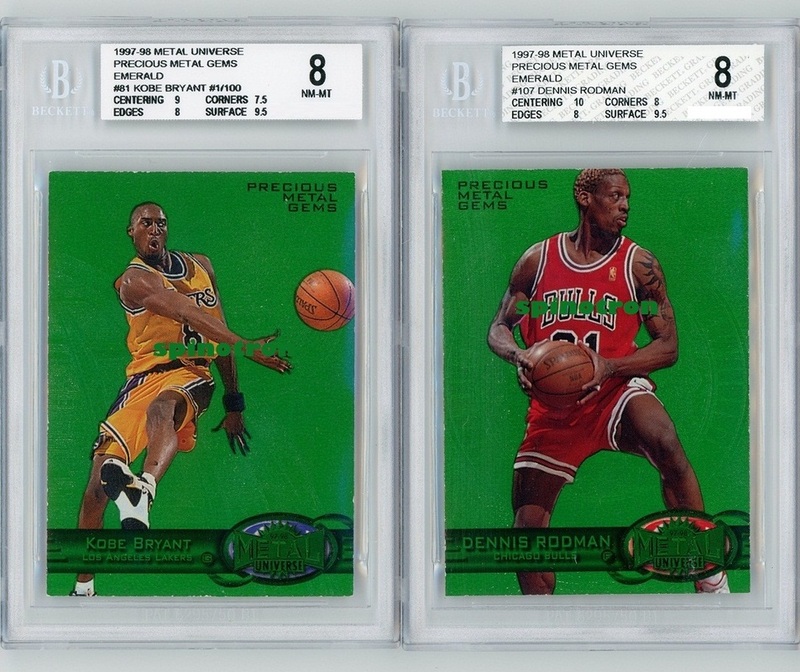 And MJ's second issue of credentials is 23/. 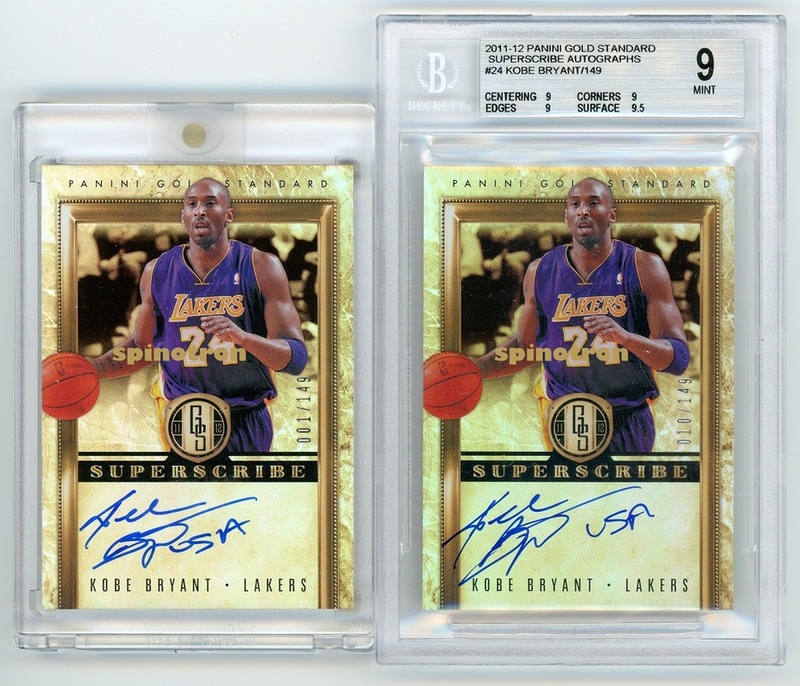 Flair Legacy Row 2 47/, Kobe's highest FGA ever. 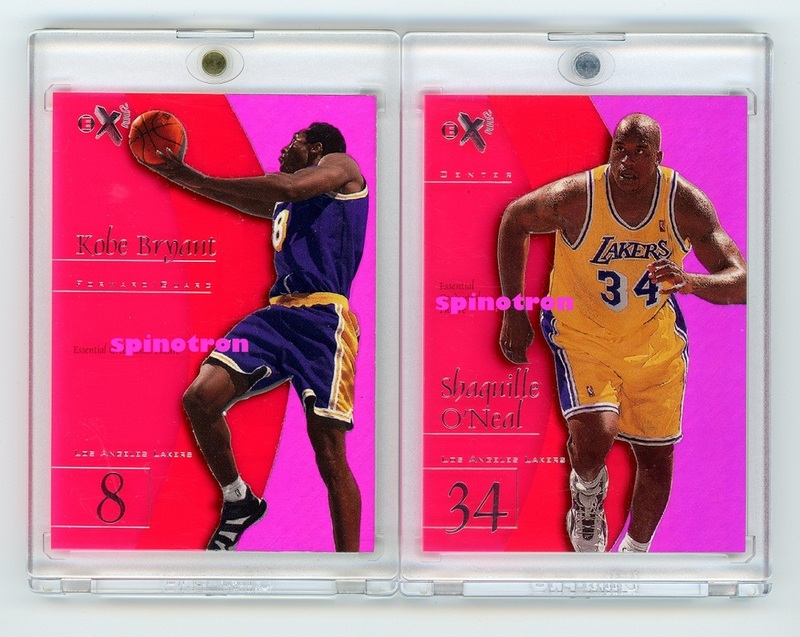 A very elusive pairing of super rave /25 and rave /150. 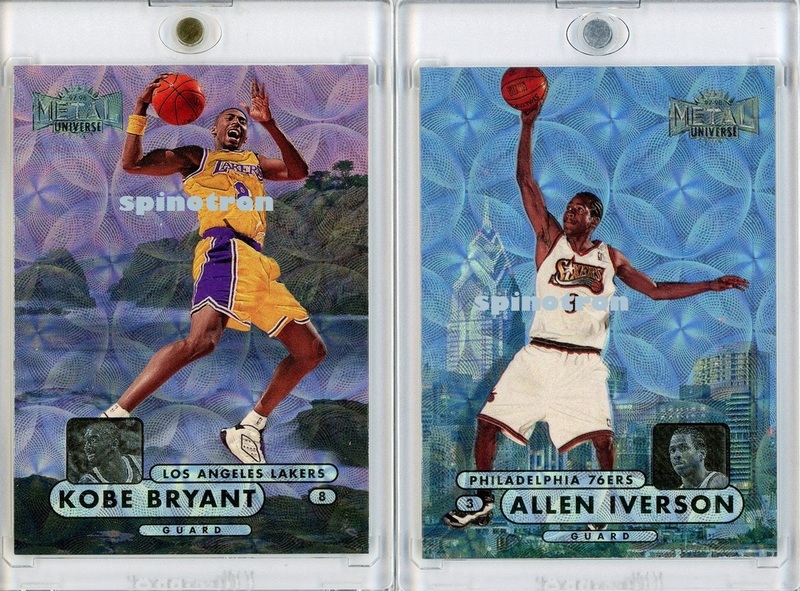 Those two players are the only players in the set who recorded top 10 highest single NBA game scores. 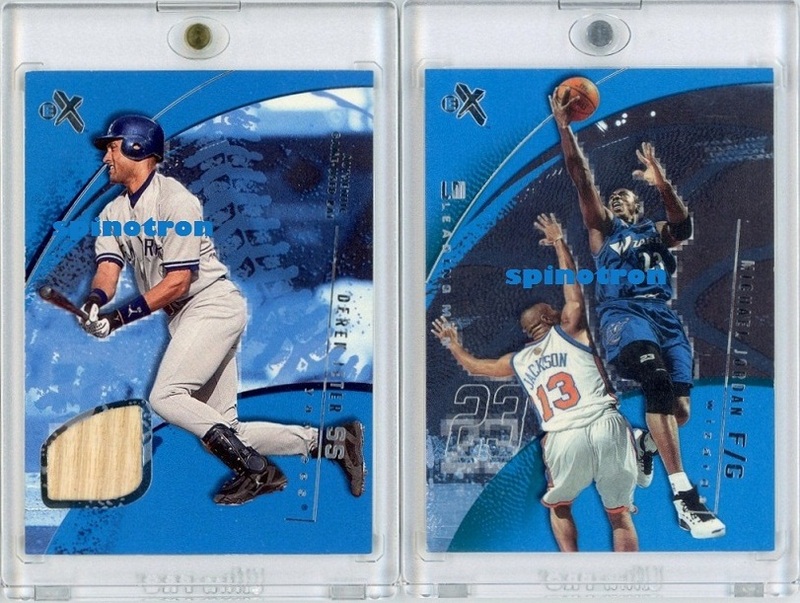 97-98 Embossed Refractor /74, featuring these two no. 1 drafts of each rookie class. Kobe vs MJ and MJ vs MJ, 23/23. 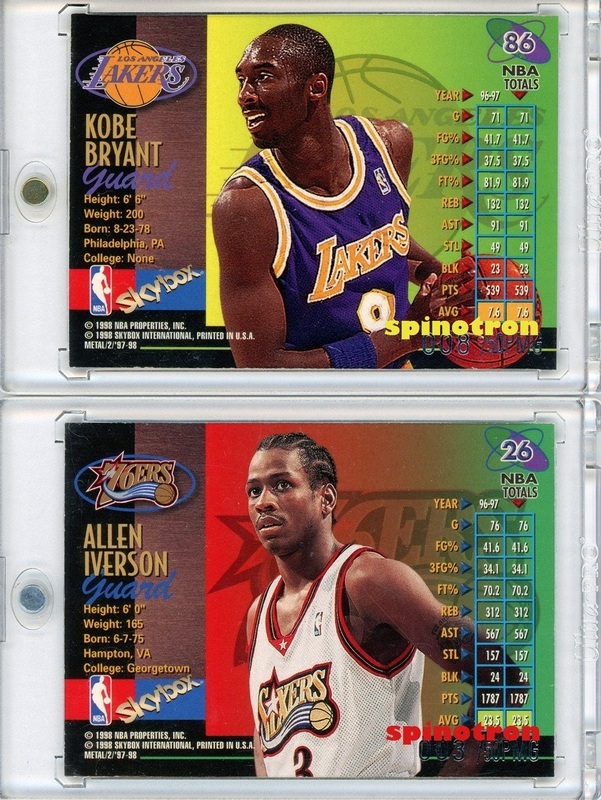 The earliest JA and earliest 1/1 JA in basketball. 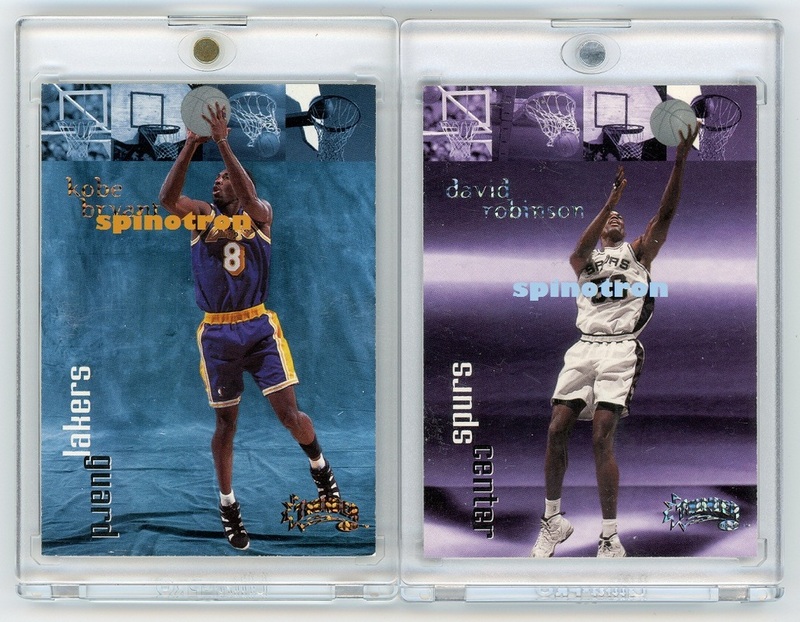 The latter is the only 1/1 among 90s JAs. 99-00 Encore Game Jersey Auto jsy #. 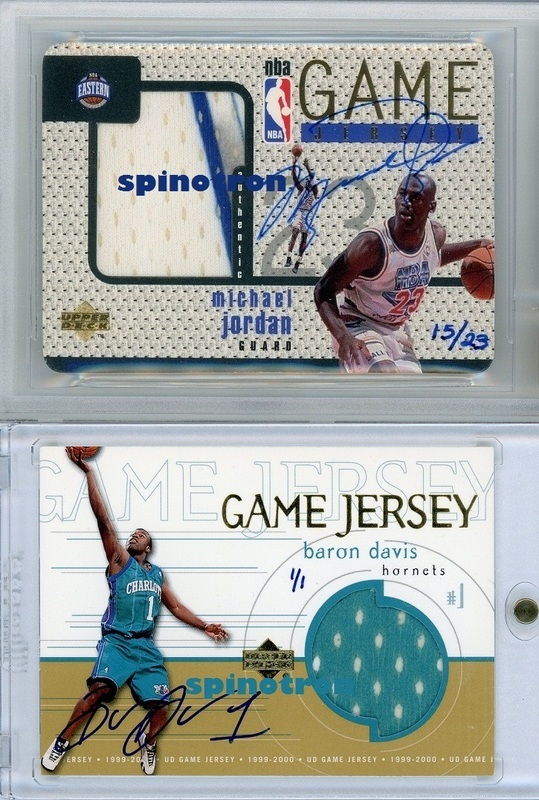 Both are THE last 90s jersey auto card for each player. First patch ever. 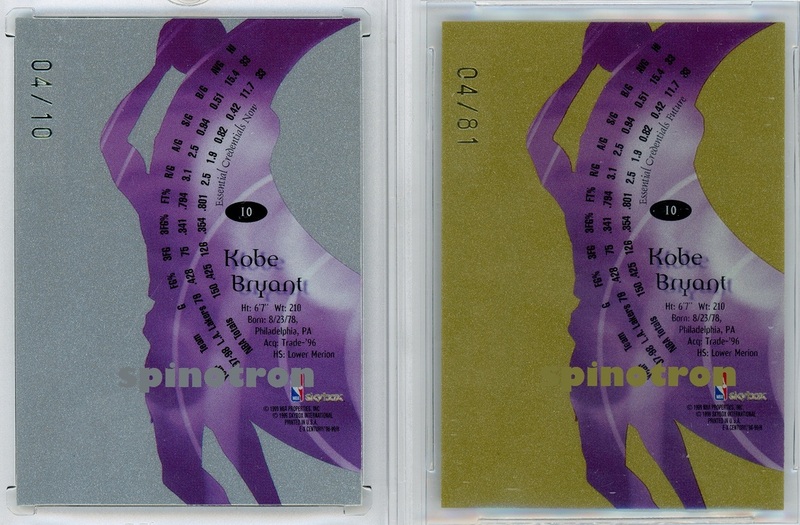 Kobe has two versions, but version 1 will be regarded as the first by me. Numberings are backwards complementary. 080/225 and 24/25. Reverse jsy numbered and new jsy numbered. 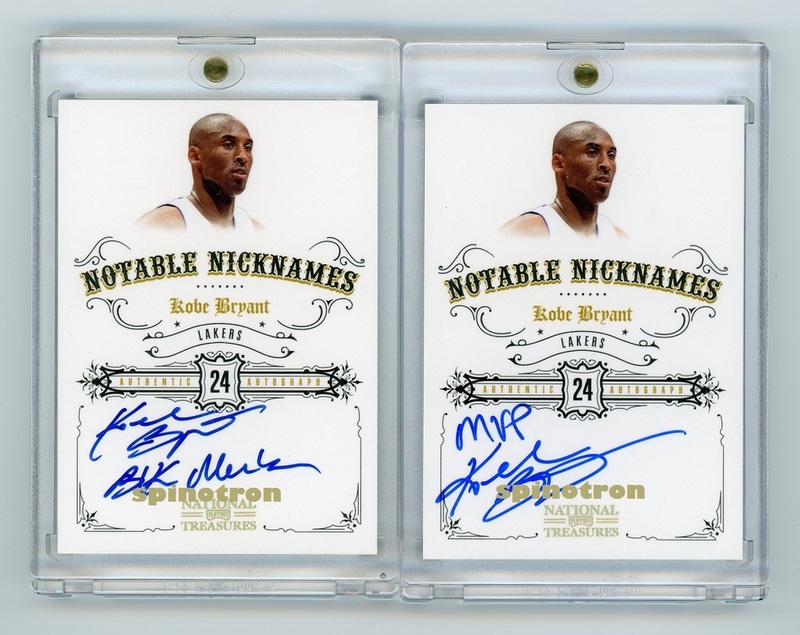 Thanks a lot to kobe824 from BO for taking time to work out a deal. 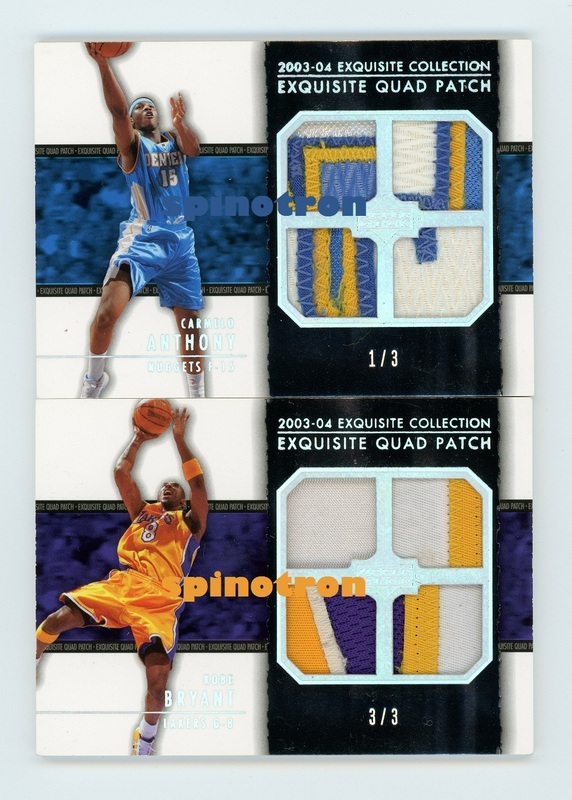 03-04 Exquisite Collection Quad Patch /3. Kobe has second highest game score, and Melo co-shares highest quarter score. Kobe co-shares most 3 made in a single NBA game, Melo has most 3 in Olympics. I really enjoy those SS. 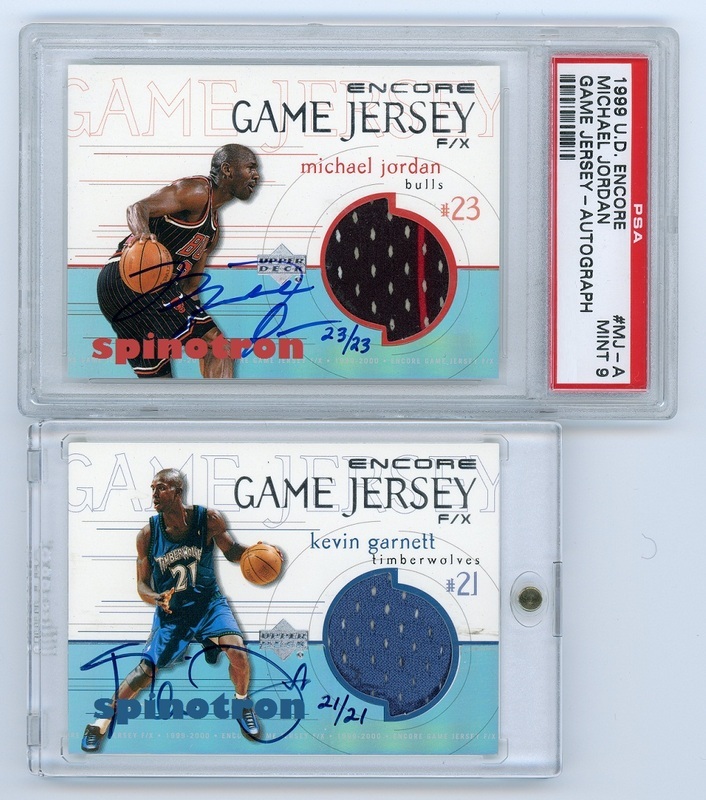 They are the first ever auto cards on patch/jersey in history. Matching number to the old jsy. Not true jsy number, but still a treat for a 90s fan. Thanks to Reza for 8/99. 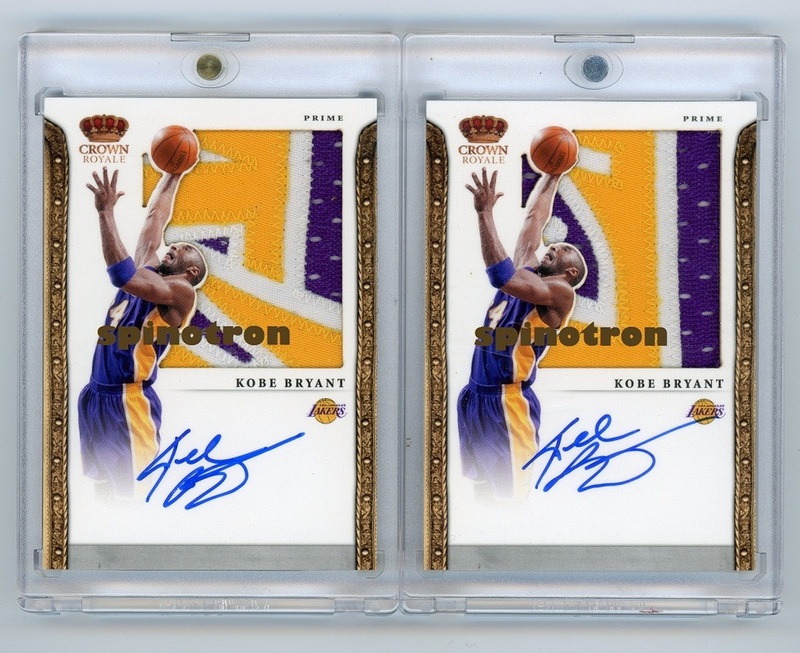 Panini's first Kobe jumbo patch auto. 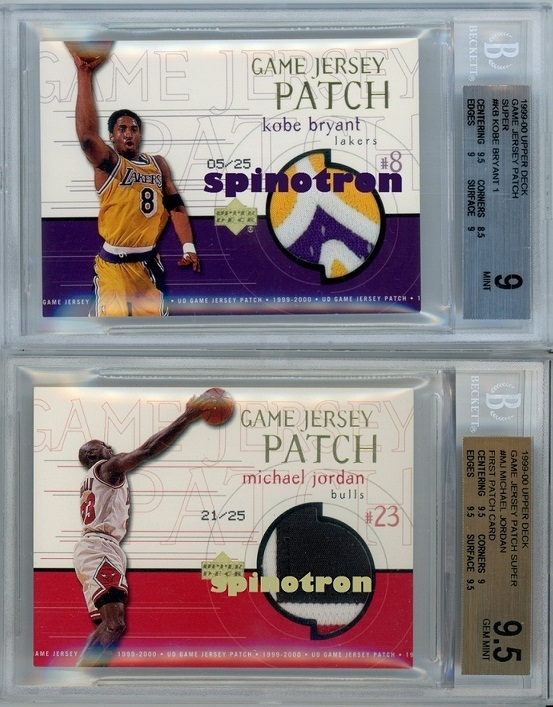 These two patches are unique to older Lakers jersey. 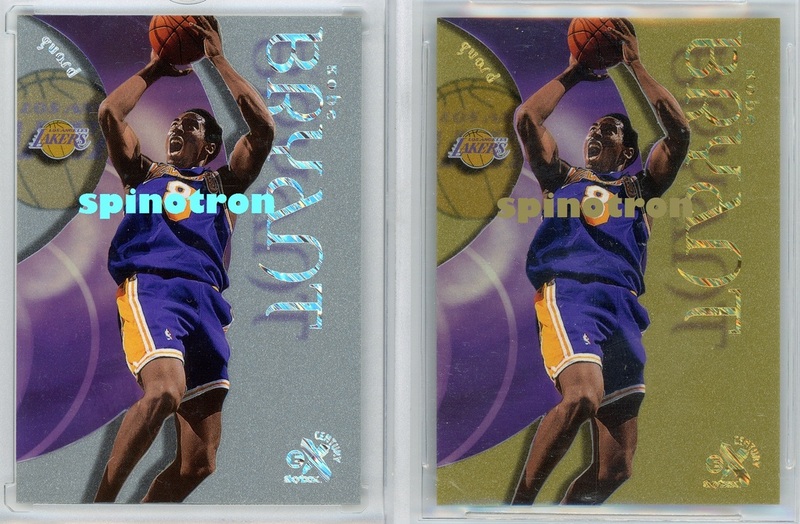 Backwards numbered to 2 and 4. 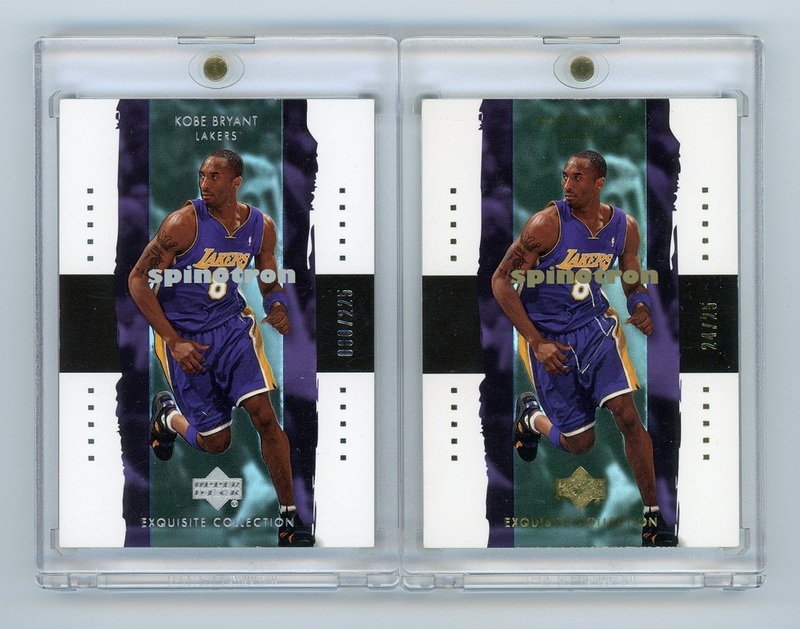 The very first card Kobe inscribed "USA" (cleaner than "Go USA" in UD black four years ago) and also a numbering fitting the theme: Kobe wears jsy 10 in 10th dream team (since 92).